Students from the Western Illinois University Department of English attended the international Sigma Tau Delta English Honor Society convention in St. Louis, MO. WIU English Associate Professors Timothy and Magdelyn Helwig advise the WIU chapter. They are pictured with Cameron and Dayhoff. 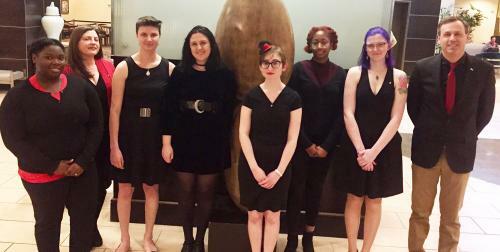 MACOMB, IL – Four students from the Western Illinois University Department of English presented their original research at the international Sigma Tau Delta English Honor Society convention in St. Louis, MO. Over four days, March 27-30, English major, chapter president and graduating senior Desiree Steele, of Elgin, IL; English major and junior Emma Dayhoff, of Washington, IL; English major, chapter secretary and junior Kaylee Gundling, of Coyne Center, IL; and English major, chapter vice-president and junior Apryl Moore, of Chicago, IL, presented juried papers and fielded questions from the audience and attended panels of other English majors from among the 900 chapters of Sigma Tau Delta around the world. Only 60-70 percent of papers are accepted annually for presentation at the convention. Steele presented, "Gender and Sexuality in The Legend of Zelda: Breath of the Wild," a revised version of a paper she wrote for English Professor Chris Morrow's Popular Forms of Literature course. 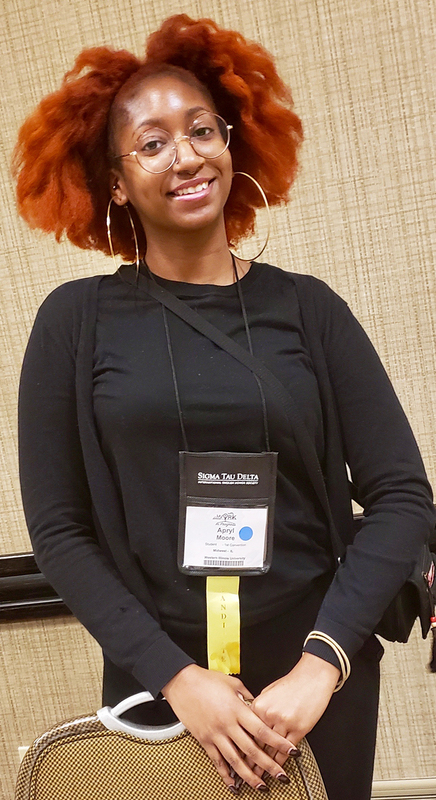 "Attending the Sigma Tau Delta convention was an amazing opportunity to meet others interested in Game Studies and New Media, and to see what sorts of research projects they are working on," said Steele. "I believe that this opportunity has helped me begin to make connections with the people I will work with as a scholar." 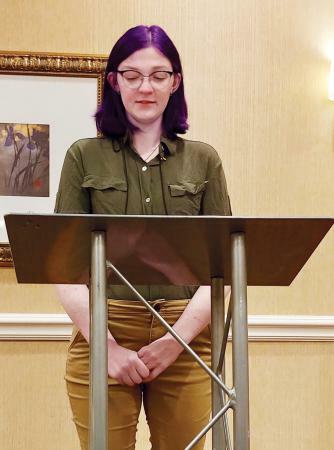 In the fall, Steele plans to pursue a master's degree in English, focusing on the field of Game Studies, and she has been accepted to the University of Wisconsin Milwaukee. Dayhoff presented, "Life Got in the Way," an original piece of creative nonfiction supervised by English Assistant Professor Barb Lawhorn. 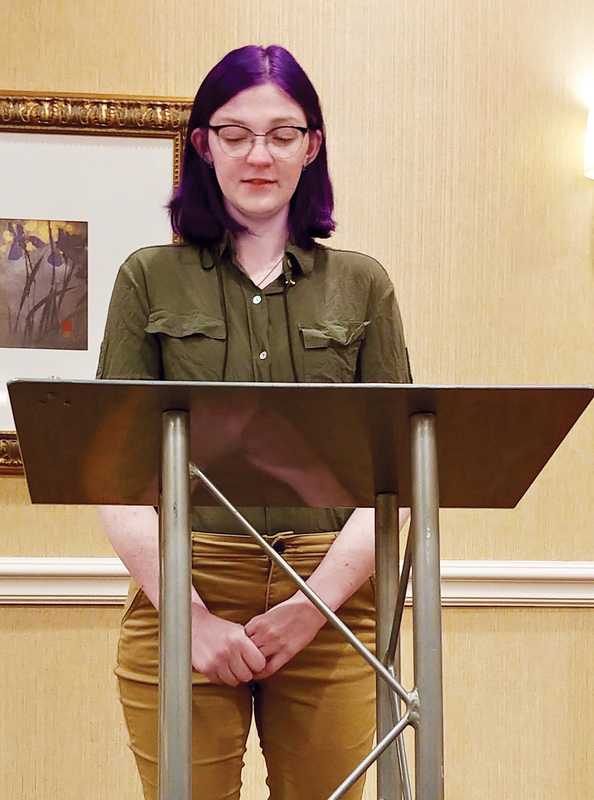 "Presenting at the Sigma Tau Delta convention was an educationally rewarding experience that I would recommend to aspiring English majors and minors. It was a very welcoming and supportive environment, and I learned a great deal from attending all kinds of panels," said Dayhoff. Gundling presented, "Director's Cut (Abridged)," an original piece of fiction also supervised by Lawhorn. "I had a great time sharing my work and hearing the works of others from around the country," said Gundling. "Meeting so many other people who are excited and passionate about English was a brilliant experience." Moore presented, "The Sadomasochism and Meaning of Addie Bundren in Faulkner's As I Lay Dying," supervised by English Professor David Banash. "I really enjoyed talking to students from other chapters and learning how differently we each interpret the same novels. It's also interesting to see the discussions that come up without the pressure of a classroom setting," said Moore. 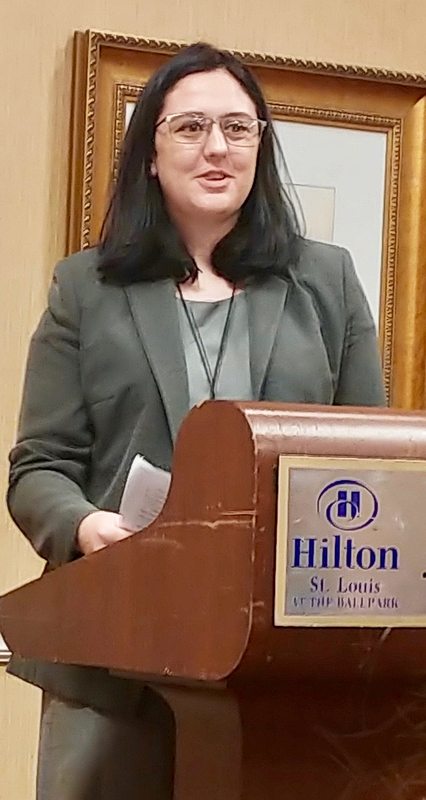 During the regional caucus, Moore was elected to serve on the Board of Directors as the 2019-2020 Midwestern Student Representative and will represent the interests of the 150 chapters at four-year colleges and universities in the region. "I'm looking forward to working with the other elected student leaders in the organization," said Moore. 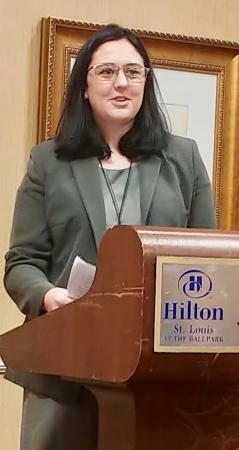 "It's a wonderful opportunity to share the concerns and ideas of my constituents, and to promote student involvement in Sigma Tau Delta throughout the Midwest." 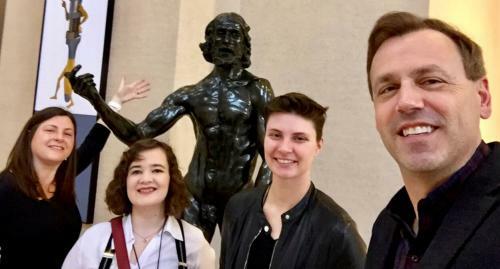 All four students received College of Arts and Sciences Undergraduate Research Grants for their trip, as well as funding from the Office of Student Activities and the WIU Department of English. Biology major, chapter historian and junior Gayla Bean, of East St. Louis, IL, and English Education major and junior Courtney Bender of South Elgin, IL, also attended the convention, and chaired panels and volunteered at the registration table. Both students plan to submit papers for next year's convention in Las Vegas, NV. 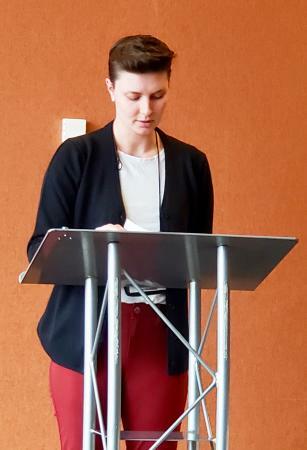 WIU alumna Molly Cameron (2018), who serves as a graduate teaching assistant and is pursuing a master's in English at the University of South Dakota, attended the convention and was awarded best creative response to the Common Reader, Tess Taylor's Work & Days. Cameron also participated in a roundtable on project grants, and she discussed her work last year helping to refurbish the free little library at the YMCA in Macomb. 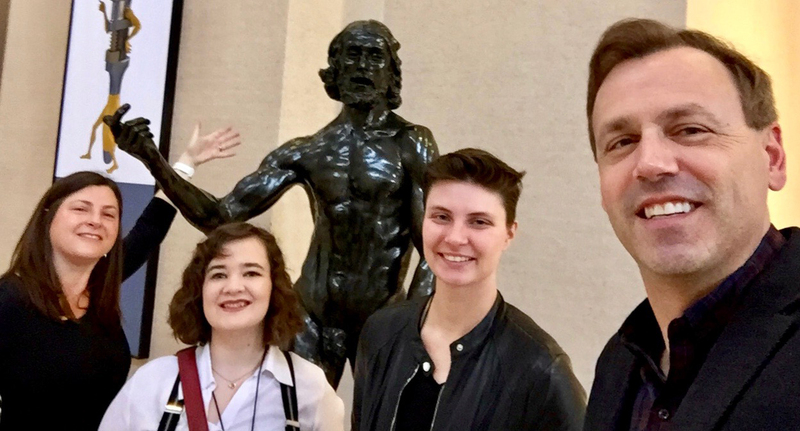 When the students were not exchanging ideas, and engaging in fellowship with their peers, they toured the Saint Louis Art Museum with chapter advisors, English Associate Professors Timothy and Magdelyn Helwig. "Sigma Tau Delta provides so many opportunities for our students to professionalize, share their ideas with other young scholars and proudly represent Western on a national stage," said Timothy Helwig, who is serving his second four-year term as Midwestern Regent. "I am delighted that Apryl Moore was elected by her peers to be the Midwestern Student Representative, and I look forward to serving with her on the Board of Directors. Apryl is a bright and talented student who I've taught in three English classes, and I know she will make great contributions to the organization." For more information about the WIU Department of English, visit wiu.edu/English.